Administrator, diplomat, encyclopaedist, historian, hunter, interpreter of Sikh scriptures, tennis player, tutor to an heir apparent and scholar, Bhai Kahan Singh of Nabha was, indeed, a Renaissance man, who has left a lasting impact on Punjab and Punjabi scholarship. Widely known as the author of Mahan Kosh, the encyclopaedia in Punjabi that was published in 1930, Bhai Kahan Singh was born on August 30, 1861. His father, Mahant Narain Singh, was steeped in the Sikh tradition and was well known for his ability to recite Guru Granth Sahib. Like many others of that time, Bhai Kahan Singh received no formal education, but was taught by tutors at home. He became well versed in Hindi, Braj Bhasha, Sanskrit, Urdu, Persian, English and, of course, Punjabi. Bhai Kahan Singh was taught music by the famous musician, Mahant Gajja Singh. He learnt martial arts from Nihangs and was also a good shot and fond of hunting. He played the sitar and the dilruba with distinction, and was known as a soft-spoken, considerate man, who was always immaculately attired. As an administrator, he began his innings in 1880, when he started working for Nabha state. He held administrative positions that included City Magistrate, Nazim, Mir/Munshi, Nehar Nazam. The term nazim was used for an administrator and would roughly be equivalent of Collector or Deputy Commissioner. Bhai Kahan Singh had met British administrator Max Arthur Macauliffe in Rawalpindi in 1885. Macauliffe was engaged in research on the Sikh religion and Guru Granth Sahib. Naturally, he relied on a number of Sikhs to help him. Bhai Kahan’s first book Raj Dharam had been published a year ago, and, thus, it came as no surprise that Macauliffe asked Maharaja Hira Singh of Nabha to spare Bhai Kahan Singh for three months, so that they could work together. 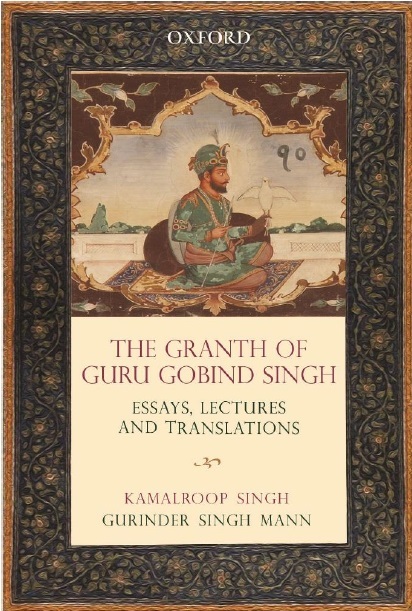 Years of research went into what became a six-volume work and Macauliffe often visited Nabha and other places to work with Bhai Kahan Singh who, in the meantime, had published Nanak Bhavarth Dipika (1888), Ham Hindu Nahin (1898), Gurmat Prabhakar (1898), Gurmat Sudhakar (1899), Gur Gira Kasauti (1899) and Sharab Nikhedh (1907). He had also come out with two tikas or exegeses, Jaimant Assamedh (1896) and Visnu Purana (1903). The Sikh Religion was published by Clarendon Press, an imprint of Oxford Press, in the UK in 1907. 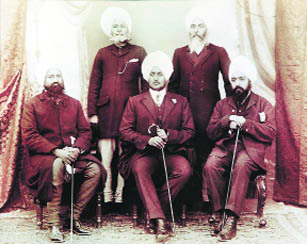 Bhai Kahan Singh accompanied Macauliffe to London to assist him in the publication of the book. Macauliffe even transferred the copyright of the book to Bhai Kahan Singh. According to Major A. P. Singh, grandson of Bhai Kahan Singh, Macauliffe also offered his house, 10 Sinclair Road, London, to him. Bhai Kahan Singh, however, declined the offer. 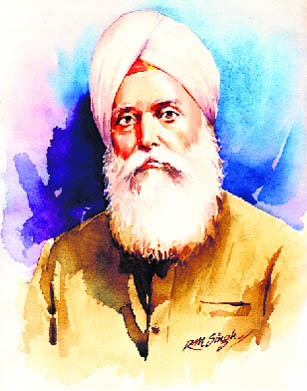 Along with his literary pursuits, Bhai Kahan Singh continued to serve Nabha state and with increasing experience, and because of his ability to sort out problems, he was also given other responsibilities that included being a foreign minister, a Judge of the High Court and member of the Judicial Council, etc. He played a significant role in the framing of the Anand Marriage Act, which was proposed by Maharaja Ripudaman Singh, and as a result of which marriages were given a legal status. Like other people with means, he would spend summers in Solan and Shimla. Nabha and Patiala states did not always enjoy a positive relationship even though the rulers of both states, Maharaja Bhupindra Singh and Maharaja Ripudaman Singh, were related. However, Bhai Kahan Singh, Bhai Arjan Singh Bagrian and Raja Gurdit Singh of Retgarh played a significant role in effecting reconciliation between the two rulers. He compiled Gurushabad Ratanakar Mahan Kosh from 1912-1930. During the years 1915-1917, he was the legal adviser to the political agency of Patiala state. Mahan Kosh, as it is commonly called, has 64,263 entries and is well known for pithiness and accuracy. Maharaja Bhupindra Singh of Patiala sponsored its publication, and now Punjabi University, Patiala, is translating it into English and Hindi. A Sikh with strong convictions, Bhai Kahan Singh practised what he preached. His son, Bhagwant Singh, popularly known as Hari ji, wrote Dasam Granth Tuk Tatkara, and index of Dasam Granth, thus continuing his father’s legacy. Bhai Kahan Singh passed away on November 23, 1938. The sequential celebrations of Bhai Kahan Singh’s birth anniversary are being held at various venues in Punjab. As people reflect on his rich legacy, it is only natural that they should also salute this Renaissance man, Punjab’s pioneering encyclopaedist.